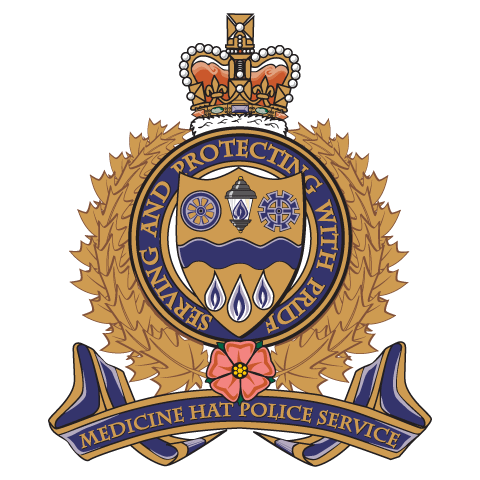 The Medicine Hat Police Service is one of the few municipal forces in Canada to have its own colours. The colours is a flag of a special design featuring the Service’s badge which was formally consecrated on January 13, 1999 during the Service’s Centennial ceremony. When not in use during special ceremonies like parades, funerals or at the annual police ball the colours are stored in a special case at the police station. Colours have a military origin as they were used when troops went into battle and needed a reference point to gather if they became disorientated or otherwise lost.